Homesubmitted by David S. - Mar 08, 2018 |Recommended: YesIt's a great community. All of the neighbors are friendly. I can't hear anything from the neighbors on the sides of my unit but can hear everything from upstairs. I can't rate maintenance because we haven't needed them. Jill is wonderful and I am truly happy that we moved here. This is a well-maintained, friendly environment in which to live.submitted by Dennis W. - Feb 21, 2018 |Recommended: YesI have been here going on 6 months and I love it here. I have a spacious apartment. All my neighbors are welcoming and friendly. And all the staff is hardworking and helpful. The only thing I have to say negative about my time here are the few irresponsible, lazy, careless tenants with dogs that cannot abide by the simple rule about picking up after their dog. These few don't care about anyone but themselves and leave piles of pooh anywhere and everywhere. These people are even now letting their animals go in areas the are designated non-poo areas. This is happening even though management provides plenty of space to take your animal to and plenty of bags to pick it up with. If these few would embrace all the responsibilities that go along with own a pet, Kingsrows could fully embrace its status as the gem of the South. Homeysubmitted by Mary G. - Nov 24, 2017 |Recommended: YesQuaint, quiet, homey. Office staff are professional and friendly. I'm here now 4 years and I like it here. Kingsrow is a nice first apartment submitted by Angela J. - Nov 01, 2017 |Recommended: YesI like living here because it is a cute little community. There are nicer and safer apartments but this is not a bad first apartment. Beautiful and Charming Hidden Gem in the Lindenwold Areasubmitted by Brooke T. - Sep 24, 2017 |Recommended: YesKingsrow is a great apartment community. The office staff are very friendly and accommodating Jill is absolutely wonderful . The grounds are kept very well and although this is an all-dog friendly community it is very quiet and clean. The pool is a feature I really love, they did a fantastic job with renovations of the pool and picnic area.  The apartments are also very spacious and walk in closets are always a plus Kingsrow's charm and amenities are unmatched in comparison to other apartment properties in the surrounding area. It's become a homesubmitted by Phillip C. - Aug 15, 2017 |Recommended: YesI'm in the middle of my 10th year here. I didn't plan on that when I arrived in 2007 . But it continues to serve my needs. I felt comfortable here shortly after I moved in and those feelings remain. Neighbors are good, those who were when I arrived and those who've come here since. response from property - Aug 16, 2017 Thank you, Phil. We appreciate you taking the time to give your honest feedback about your experience at our community. It is our hope, and intention, that everyone who lives (and visits) our community experiences that same feeling! Everything is perfect except for the staffsubmitted by Mytesha P. - Aug 02, 2017 |Recommended: NoThere is always parking. There is no noise issues. The appearance is great. However, the staff are not that helpful. There is nothing written down as far as information about anything. its always someone telling you and most times they are all telling you different things. its hard to get information from the staff if they are all saying different information and don't have any documentation to prove that what they are saying is the policy. I just think that is unprofessional. response from property - Aug 03, 2017 Hello Mytesha, We appreciate your honest feedback and I am truly sorry to hear your experience at our community hasn't been up to your expectations. We strive our best to make sure all of our residents are well informed about anything going on at the property and the staff is always here to answer any questions you may have. If the information you are provided with is not clear, please communicate that to us and we will be happy to explain whatever it is in further detail. Kingsrow is a very nice place to livesubmitted by Ronald K. - Jul 31, 2017 |Recommended: YesRelatively quiet. Very safe. Conveniently located Wawa, Gas stations, Supermarket nearby. I'm very happy living here. response from property - Aug 03, 2017 Thank you, Ronald. We appreciate you taking the time to give your honest feedback about your experience at our community. Our #1 goal is to always exceed customer service expectations. If at any time we fall short, please let us know what we can do to "make it right".